BBR Contech’s survival in the competitive New Zealand market is a reflection of the specialist knowledge and experience of the people who work here. Our people have always been central to our success, and many have been with us for a long time. Call into our offices and you’ll see dozens of certificates recognising current employees who have been with us for over 10 years. The retention of this knowledge, expertise and commercial acumen is key to BBR Contech’s position as a market leader and premium supplier. We offer our clients well-researched, thoroughly tested and proven solutions at every stage and level of a project. Derek joined BBR Contech in July 2017 as General Manager and was appointed to CEO in August 2018. Prior to Contech he spent 18½ years working in various roles in Fletcher Building and Brian Perry Civil including time as Wellington Manager and the New Business Manager. 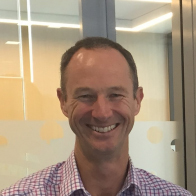 More recently he held a senior role in Fletcher Building responsible for the development of IT strategy and the delivery of IT services to the Construction businesses including being responsible for the delivery of a $30m IT project. Derek’s background is predominantly in civil engineering construction with experience in structures, piling, ground improvement and marine construction. As CEO he brings nearly 30 years of experience in the construction industry including strategy, project governance and senior leadership to BBR Contech. Michael holds a dual role at Contech – he is the Technical and Quality Manager for the contracting division and based in Auckland. He has extensive practical experience as Contech’s remedial engineer since 1986 and his expertise covers all aspects of the industry. He has represented Contech on assignments in New Zealand, Australia, Singapore and Fiji. Mike sat on the Joint Venture Board of the 2009 $10 million Thorndon and Dock Wharfs CP and concrete repair contract in Wellington. He was Technical Manager for the McConnell Dowell – Contech JV which reconstructed the Queens Wharf in Lautoka Fiji, an $8 million rehabilitation of a major marine structure in 1990 and was a key technical advisor to the recently completed second stage of the Queens Wharf Refurbishment ($6 million) in Joint Venture with Downer EDI works. Michael has considerable knowledge of specialist material technology used in rehabilitation of concrete structures. He has been instrumental in developing materials and methods adopted successfully by Contech in its reconstruction of many deteriorating concrete structures throughout New Zealand and the Pacific Rim. 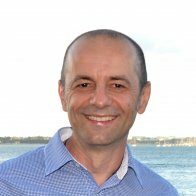 Bojan Radosavljevic joined BBR Contech in 1996 and manages the Wellington branch operations covering greater Wellington and regions in the lower North Island. Bojan has extensive experience in all of BBR Contech’s specialist activities and has developed particular skills in ground anchoring, post-tensioning and seismic upgrading. In his role he is responsible for delivering a broad range of projects associated with critical infrastructure and building assets. Bojan has broad experience in contracting and has led BBR Contech teams as main contractor, joint venture partner and subcontractor. Prior to joining BBR Contech, Bojan held project management positions in Wellington and Belgrade. He holds a degree in Civil Engineering from Belgrade University. 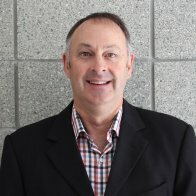 Peter Higgins has lead the BBR Contech team in Christchurch since 2001 following a construction management career associated with some large hydro-electric projects in the South Island during the 1990’s. Peter’s expertise extends to the full range of BBR Contech’s specialist activities complimented by his significant prior experience in earthworks and tunnelling related to power development. Peter held a significant role in Canterbury during the devastating earthquakes of 2011 and 2012 and his team delivered some outstanding repair and strengthening work during the recovery and rebuild. Peter holds a Bachelor of Commerce and a Master of Business Administration from the University of Canterbury. Since joining Contech in 1990, Mark has had development and project management roles on the majority of our larger commercial building, wharf and other marine rehabilitation projects. Mark has a history of building strong relationships with clients, working with them in a collaborative manner to achieve strong project outcomes. His extensive knowledge-base and approachable manner enables him to quickly gain the trust of stakeholders and the public. 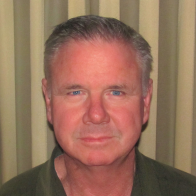 His experience and expertise is such that asset owners and engineering consultants frequently seek his assistance in evaluating and tailoring concrete repair and strengthening solutions. Paul has 35 years experience in the civil construction industry and has held management roles at BBR Contech for 25 years. He has been associated with a large number of projects covering a broad range of specialist civil engineering construction activities including: post-tensioning, post-tensioned slabs, ground anchors, soil nailing, concrete repair, structural upgrading, seismic strengthening, grouting, sprayed concrete, FRP composites and heavy lifting. Paul’s background includes structural and geotechnical design, civil engineering construction and specialist engineering contracting. Given this broad specialist expertise, Paul is frequently consulted at an early stage to assist with engineered solutions for a range of projects. 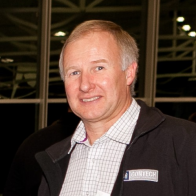 He has been actively involved with the NZ Concrete Society since 1998 and is a past-President. Paul holds an NZCE (Civil) and Bachelor of Civil Engineering (Honours) and is a member of IPENZ, SESOC and the NZ Geotechnical Society. 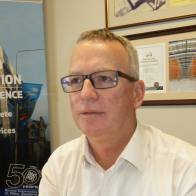 He has presented numerous technical papers on post-tensioning, ground anchoring and FRP and has been involved in presenting seminars and guest lectures on a range of topics through his affiliations with IPENZ, universities and industry organisations.